public spaces if need be. This incurs little cost to the worshippers. Religious communities can function perfectly well without institutional support. Early Christian communities often met in the homes of adherents and lacked a formal church. 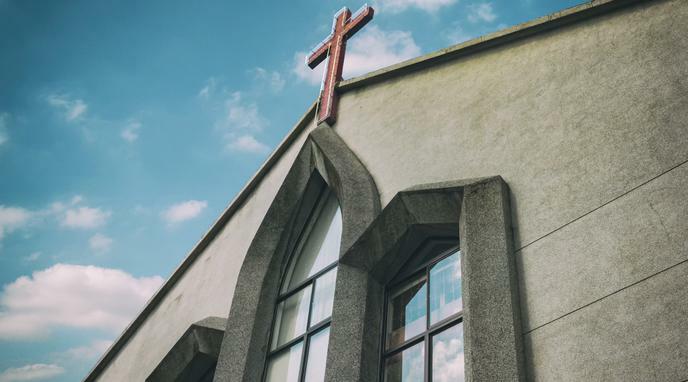 While churches are a solid structure to bring people of a faith together, other buildings could be used as a religious community center. The same could be said regarding the functions of state. Perhaps the Mayor could hold council in his home, easing the burden on tax payers which would be expended in building and maintaining a city hall, yet we do not demand this of them. An essential element of most religions across history has been erecting monuments, shrines, and other edifices to honor the divine. This freedom is guaranteed in the Constitution.